Let's learn and have fun making great toys and art pieces using recycle materials. Here are some of our projects for this term, children are always very welcome to explore and develop their own ideas and we do encourage that! "Vai & Vem" - this is an awesome toy, kids love it, they call it "Come and Go", it is made out of plastic bottles and keep the children active and on the go! Another fun toy that the kids love to make and play with! By the end of the term it is going to be Easter time, and we have something special for such a special moment of the year: we will be creating with the children a lovely Easter Basket where all the Easter Goodies can be kept! The sessions will be held weekly from 3:15 p.m. to 5:30 p.m., all materials and snacks are included. 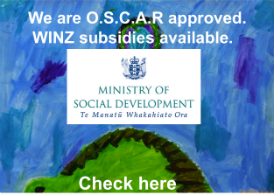 Each session cost NZ$15.00, discount of 10% for families and early birds enrollments. 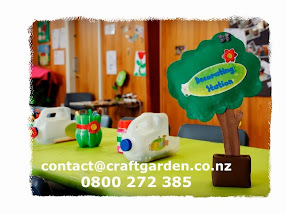 We are waiting for you to have fun, explore your creativity and develop your Art & Craft skills at Craft Garden!